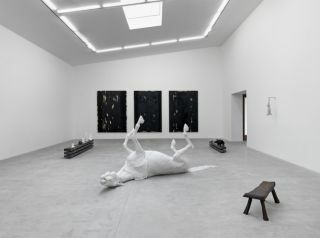 ‘The Book of Evil Spirits’, the title of Chiara Fumai’s solo exhibition at the waterside contemporary gallery, brings together historical characters who Fumai has embodied in the course of her performative practice. Fumai is drawn to women from marginal positions who gained recognition through their vociferous dissent, including the German writer and activist Ulrike Meinhof (1934-1976), the bearded American woman Annie Jones (1865-1902), a famous circus attraction, and the Italian philosopher and feminist Carla Lonzi (1931-1982). 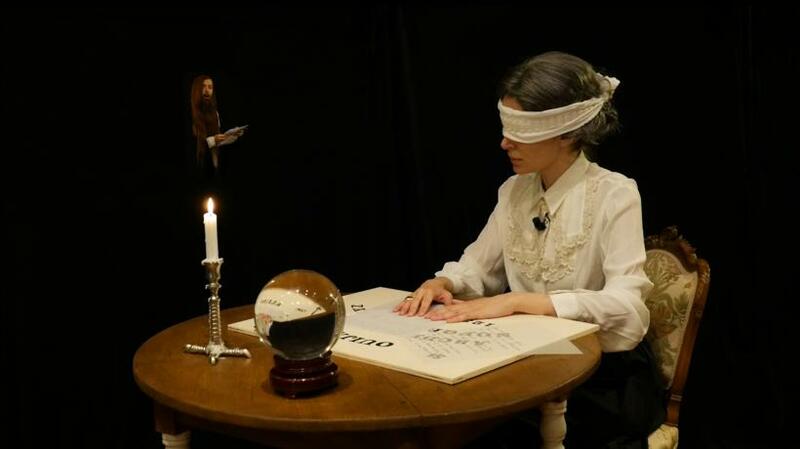 Then there is Fumai’s muse – a powerful presence behind ‘The Book of Evil Spirits’ – the Italian psychic and medium Eusapia Palladino (1854-1918), internationally renowned for her séances that were attended, with full conviction, by figures as esteemed as Nicholas II of Russia, and Nobel laureates Marie and Pierre Curie. 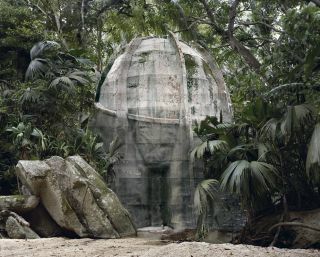 In ‘The Book of Evil Spirits’, Fumai summons these historical figures through physical fragments, the show itself becoming a kind of séance. 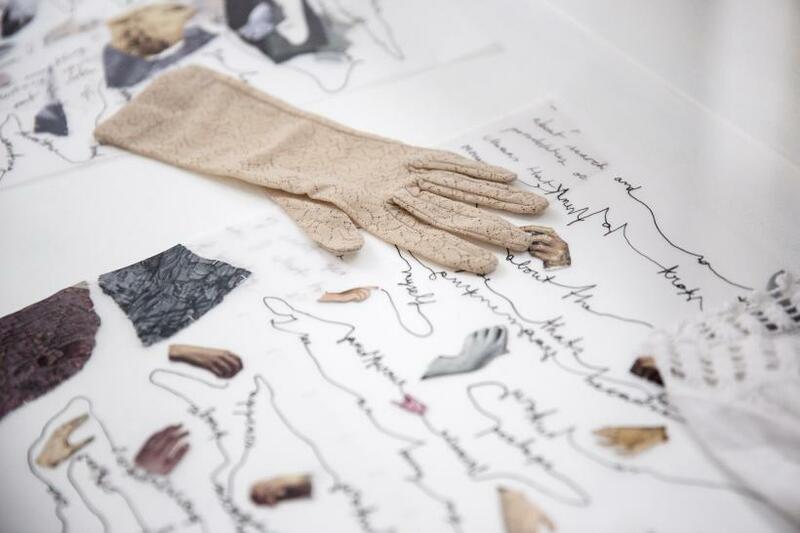 She has collected and catalogued snipped up photographs of hands and faces, hair, lace gloves, a white ruffled shirt and scarf, candle wicks and holders and a Ouija board. 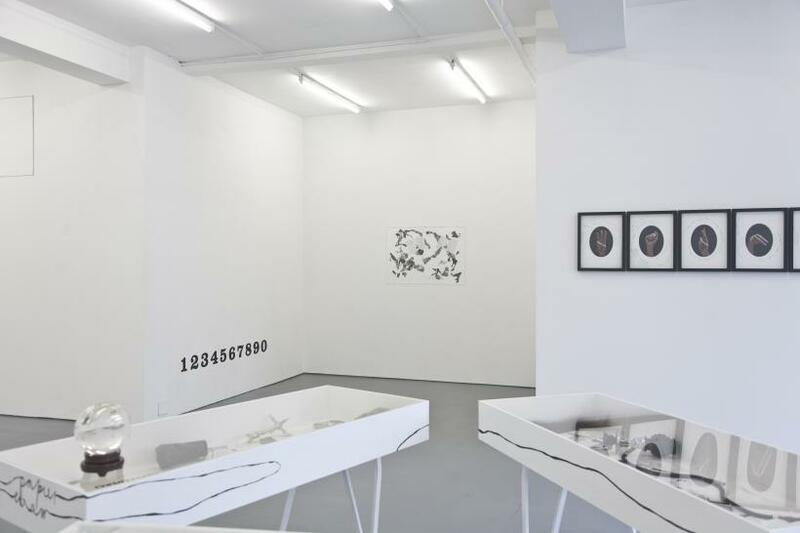 The objects, arranged in three rectangular glass cases, are part of an expanded video installation which also includes a series of framed photographs of hand gestures, collages and a short video. 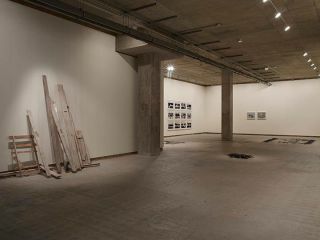 While walking around the small gallery space Fumai’s video plays in the background. She is ‘possessed’ by these historical figures: we hear her voice, English with a thick Italian accent, re-enacting their narratives. 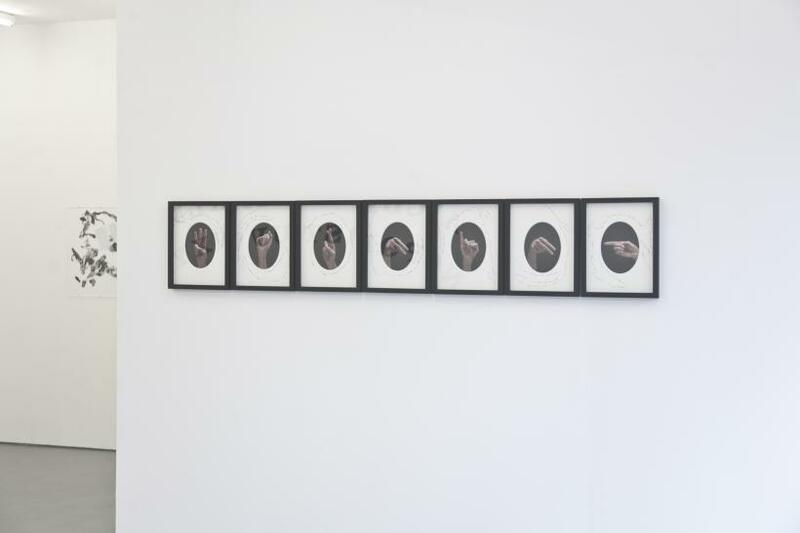 Lined up along one wall are seven framed photographs of hands in varying signs, each hand outlined by words that are joined on a single, running line. 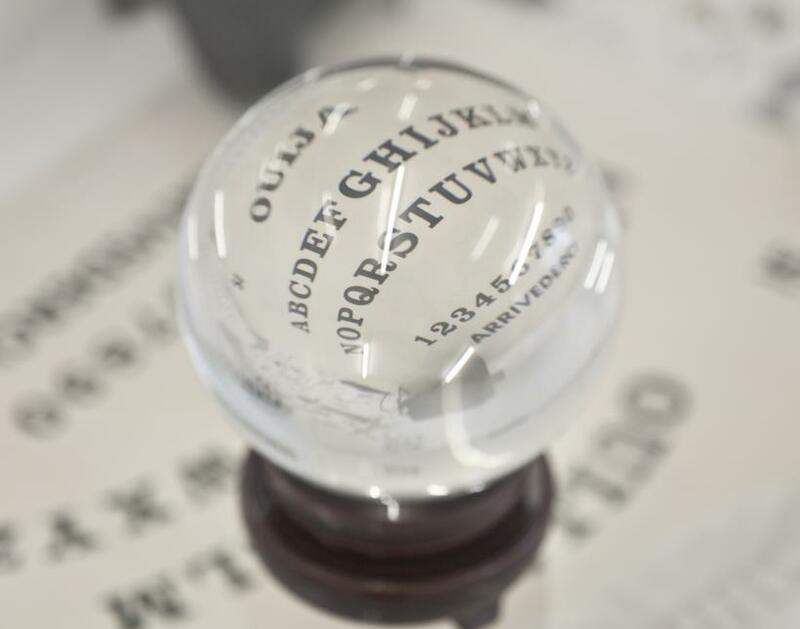 These trails of words are also found inside the glass cases, scrawled across sheets of paper and fabric. 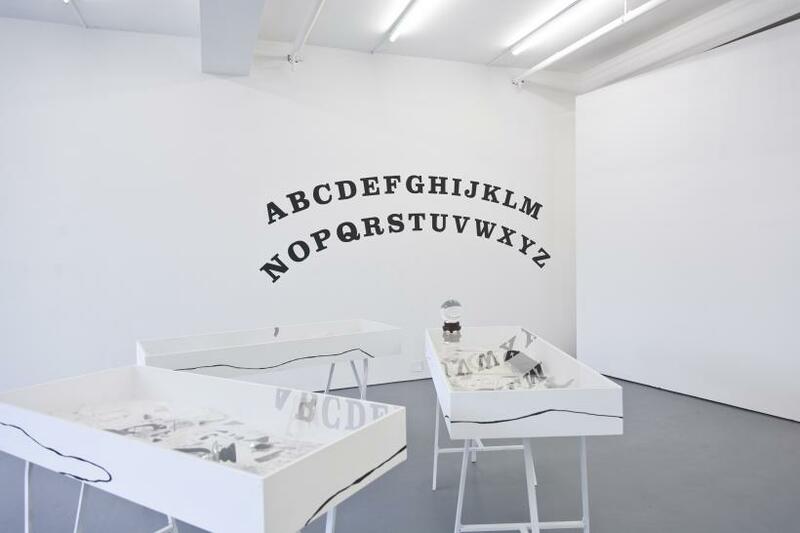 Fumai dismantles signs, symbols and objects through different mediums, like the Ouija board – the real, physical object is stored in one of the vitrines but walking around the room we see its signs spread across the white-washed walls in bold, black paint – the letters of the alphabet, numbers zero to nine, the words ‘YES’ and ‘NO’. 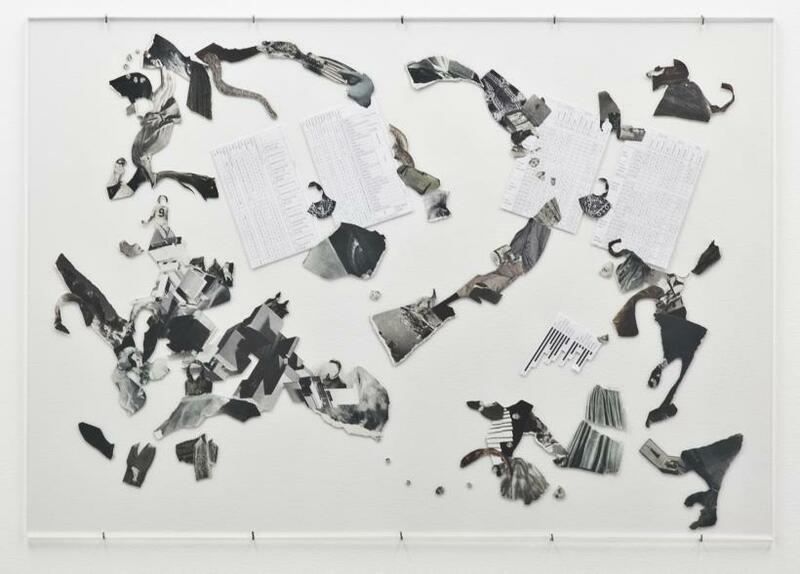 These fragments are reassembled in Fumai’s video, becoming elements of her re-enactment. 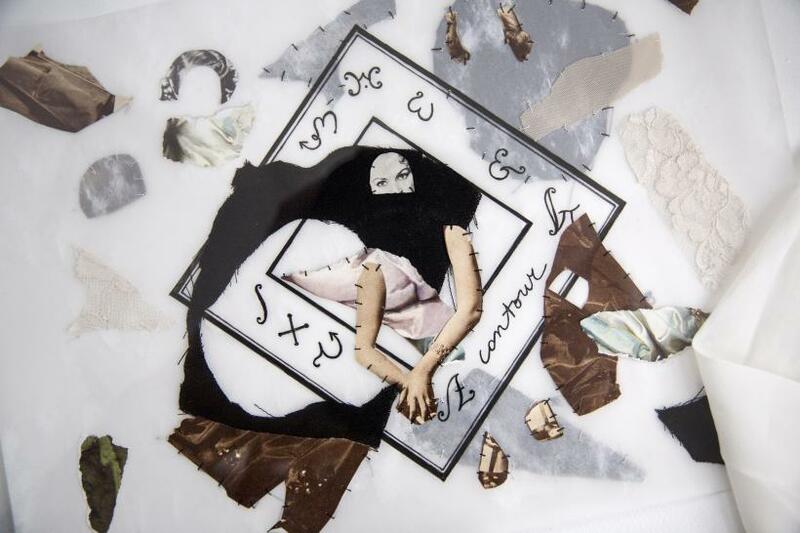 In the video, Fumai sits blindfolded in front of the Ouija board, scribbling words on sheets of paper (like those concealed in the glass cabinets), performing the narratives of her muses. 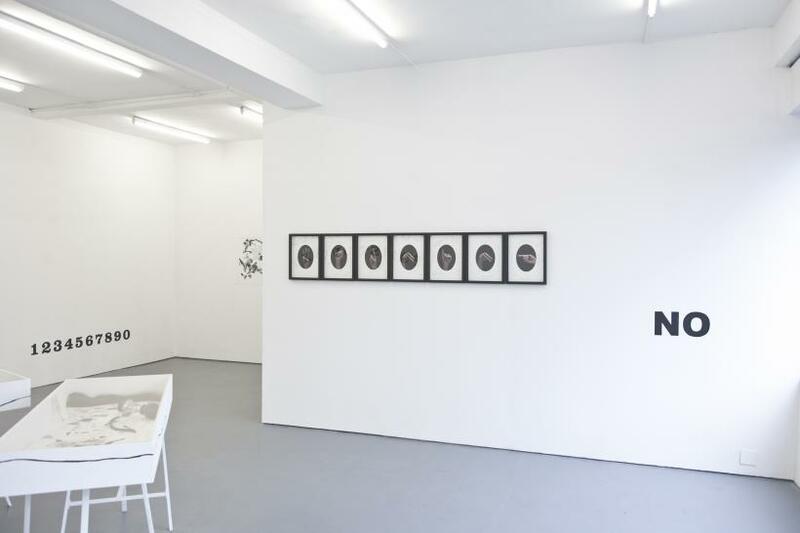 ‘We tried to obtain words by the means of the alphabet but without success’ Fumai chants, words that are repeated in written form on the trails around one of the framed photographs. A hand fades centre screen, performing the signs from the photographs. 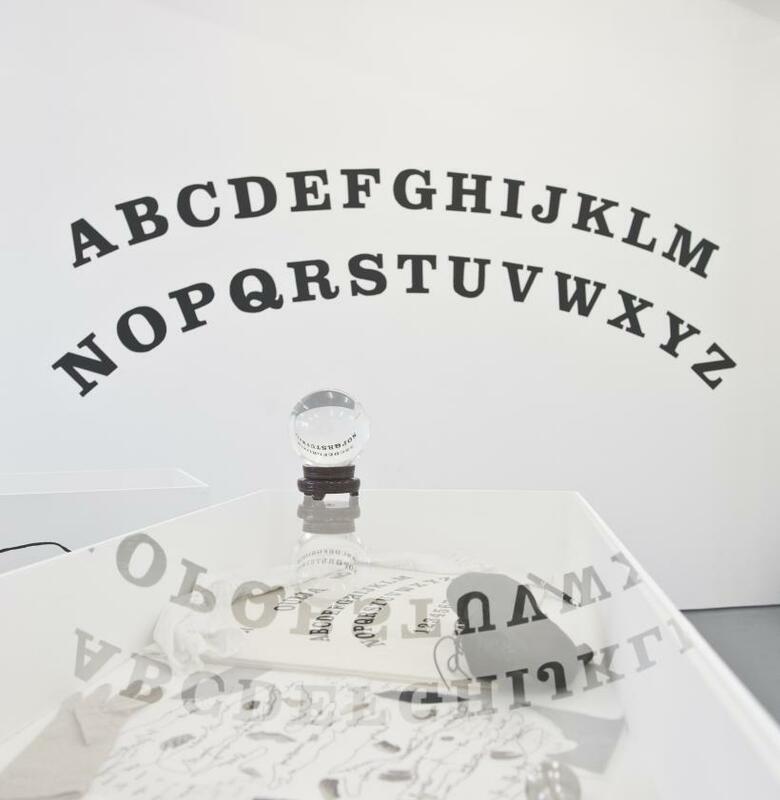 ‘The Book of Evil Spirits’ grasps for communication, and in the process words are reduced to symbols, like the objects scattered in the glass vitrines, embodiments of historical figures.